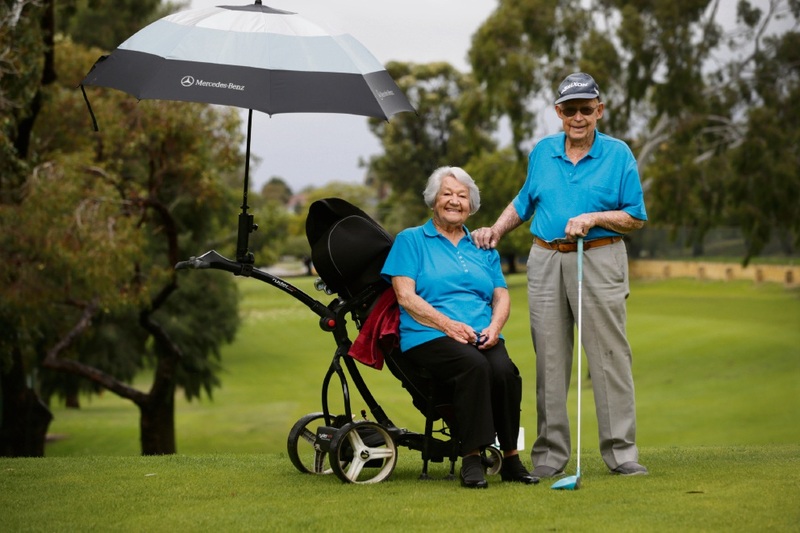 ENDING a 71-year golfing career due to central vision loss has not stopped Dianella resident Joy Palmer from cheering her husband and friends on from the sidelines. The Embleton Golf Course member stopped playing golf three weeks ago when she was diagnosed with macular degeneration. Joy and her husband John (both 95) have been at the club for more than 14 years and have won three club championships between them. The couple, who will celebrate their 70th anniversary this year, met at Kojonup Golf Club in 1946 before moving to Perth and joining Melville Glades in 1974. In 2001, Joy joined Embleton during the twilight years of her golfing career, while John joined in 2003. Joy said she began to lose her sight 10 years ago but her central vision suddenly disappeared last month. “It was hard on the players I played with and they were all wonderful in the way they looked after me and told |me where my ball was,” she said. “I was not a bad putter and I was not a long hitter and that was (throughout) all my golfing career. Joy said she missed playing the sport, however she was excited to socialise more with her fellow club members. John said he would continue to play golf because Joy wanted him to keep on pushing on. Club member Rae O’Mara said the couple were the “backbone of the club”. “Both of them love their golf and they are great people; I even call Joy ‘mother’ sometimes,” she said.